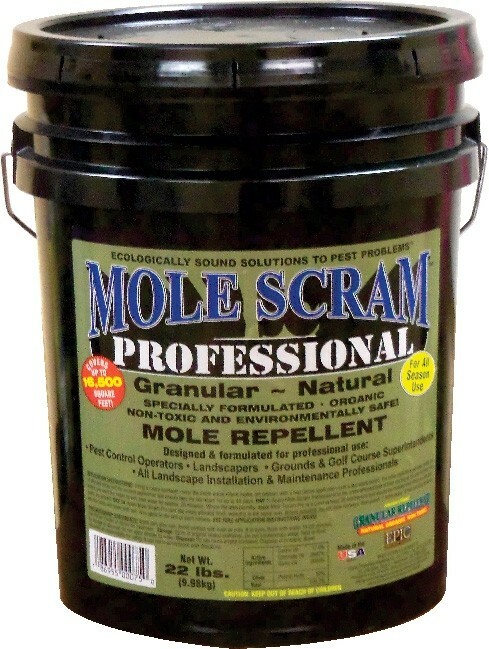 PRODUCT DESCRIPTION: Mole scram is an organic, granular repellent used to reduce and eliminate moles active in lawns, turf and flower beds. Using nothing but FIFRA 25b exempt actives so its safe for use anywhere, even in organic gardens. 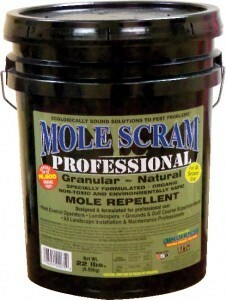 WHERE TO USE IT: Anywhere moles are active. But to keep them out of your yard, put down a 20 foot wide barrier along property borders. Renew every 30 days. When treating active voles, treat every 14 days over the active tunnels and press down all visible tunnels when making the application. If any tunnels re-appear in 10-14 days, treat again. RATE OF APPLICATION: Use one pound (1 lb) per 750 sq/ft of area.